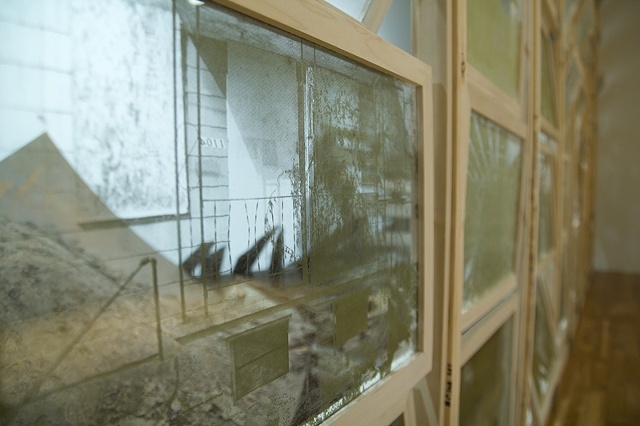 The GREENHOUSE PROJECT installation is inspired by a period of photographic history following the American Civil War, when albumen glass negatives were reused for greenhouse windows. These negatives contained imagery from the war that most people were unable to confront and consequently the plates were repurposed. Eventually over-exposure to the sunlight destroyed the glass negatives but their sacrifice brought life to the plants inside. 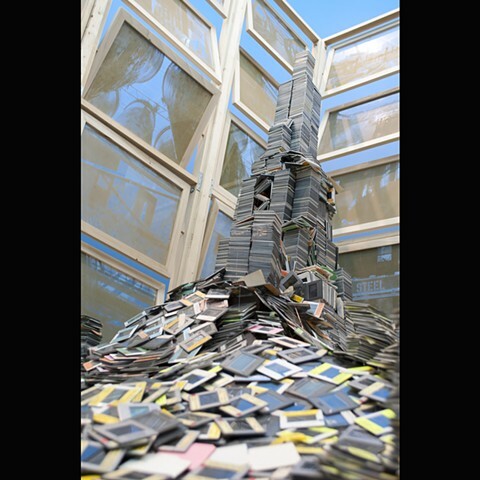 The GREENHOUSE PROJECT appropriates this piece of photographic history as a platform for confronting current issues related to urban growth and decline. The project was initially inspired by areas surrounding Pittsburgh Pennsylvania but quickly grew to embody the potential for creative new growth in blighted post-industrial communities nationwide. The greenhouse itself is constructed of Poplar wood and screen-printed Plexiglas windows. Objects housed inside the greenhouse change with each venue to reflect the area’s urban history and unique experience. I chose to build the structure of Poplar because the Poplar tree is one of North America’s most versatile and determined species of plant. It thrives from Pennsylvania to Arizona and serves as a vital symbol of perseverance under harsh conditions. Partial inspiration for this project came from the discovery of a sixteen-foot poplar tree growing 100 feet from the ground atop the “Carrie” Blast Furnace in Rankin Pennsylvania.